Cover: Yves Saint Laurent, black sheath dress with “Paris rose” satin bow, Paris haute couture collection, 1983. Gilles Tapie/ELLE/Scoop © Fondation Pierre Bergé - Yves Saint Laurent, Paris. This event was recorded. Videos of each speakers presentations will be made available to watch on The Museum at FIT's YouTube Channel. 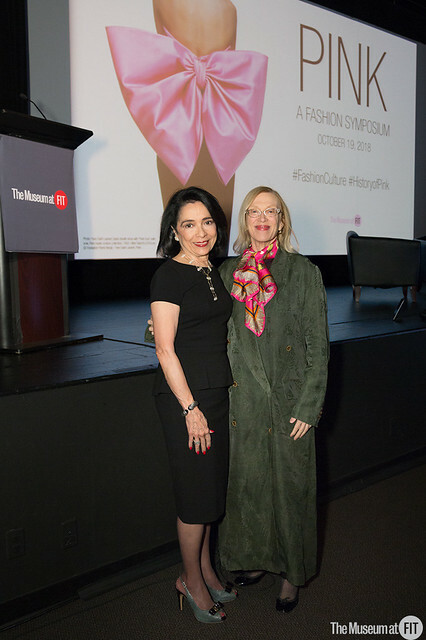 Dr. Masafumi Monden, "The Color of the Day: Many Shades of Pink in Japan"
Pink, the fall 2018 MFIT Fashion Symposium, has been made possible thanks to the generosity of the Couture Council of The Museum at FIT, Mary Kay Cosmetics, the Coby Foundation, and the New York State Council on the Arts with the support of Governor Andrew M. Cuomo and the New York State Legislature. Additional funding has been provided by the FIT Student-Faculty Corporation.